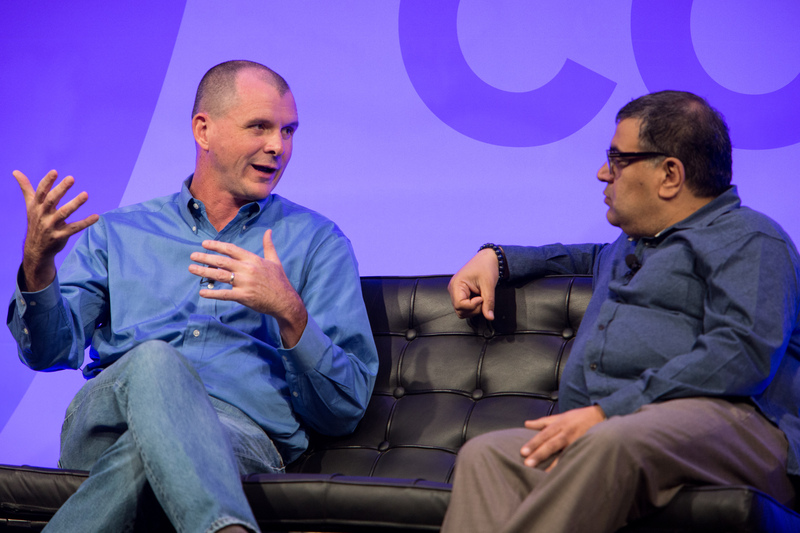 Just before our onstage conversation at the Structure Connect conference, I was in deep conversation with Sonos founder and chief executive John MacFarlane and we were talking about the design of connected devices. During our conversation, I wondered if the actual network connectivity, and how it impacts user behavior, falls under the broad umbrella of “design.” What made me ask that question was the constantly shifting idea of what is design. When I asked MacFarlane what he thought about the barrage of connected speakers coming out from all the old school audio brands, he pointed out that the success of these connected speakers is not in how they look or sound, but at the end in how they connect to the network and to the services that define the product’s design. For Sonos, “design” involved building a software platform that connected to thousands of radio stations — Spotify, Pandora and everything else — and yet also creating an experience that felt native and natural. That aspect of design is what is invisible — it is not what you can feel in a tactile fashion. It is also not how the software looks on the screen. But instead it is a lot more. John MacFarlane, CEO and founder of Sonos in conversation with Om Malik. Photo by Jakub Mosur. In a separate blog post, I pointed out that today technology intersects our life with emotions. Instead of standing in the way, technology is increasingly an enabler of emotion. A message at the wrong time at dinner can turn a gourmet dish into something insipid, because of the interruption. By the same token, an extra 1,000 steps taken (and measured) by our Fitbit makes us giddy. It is this natural and invisible experience of emotions that is the future of design. And a lot of it depends on how seamless, quietly and efficiently these devices work, interact and connect to not only us, but to each other. “Eventually everything connects — people, ideas, objects … the quality of the connections is the key to quality per se,” Charles Eames once said. He might as well have been looking into the future and talking about today’s world of connected devices. While most companies see design in the physical dimension, there are some that understand the importance of software as part of design. But there are only a handful that actually think about the overall experience as the ultimate idea of design. Particularly for those design-neglected — Nest’s CEO Tony Fadell would call them “unloved” — products, the network connection makes you rethink the entire idea of a device. The lightbulb, the most humble and illuminating of all technologies, when combined with a network connection transforms itself from being a bulb, into a wake-up alarm, a mood alteration mechanism and in some cases a cupid’s assistant. Last week, my colleague Stacey gifted me the August Lock and after some considerable effort, I have got it working. A few days later, the convenience is finally starting to become visible — letting in a friend who wants to stay over while I am away is pretty seamless — my doorman calls me from below, my phone rings a 100 miles away and a push of a button is all I need to let them in. It didn’t involve changing any plans. 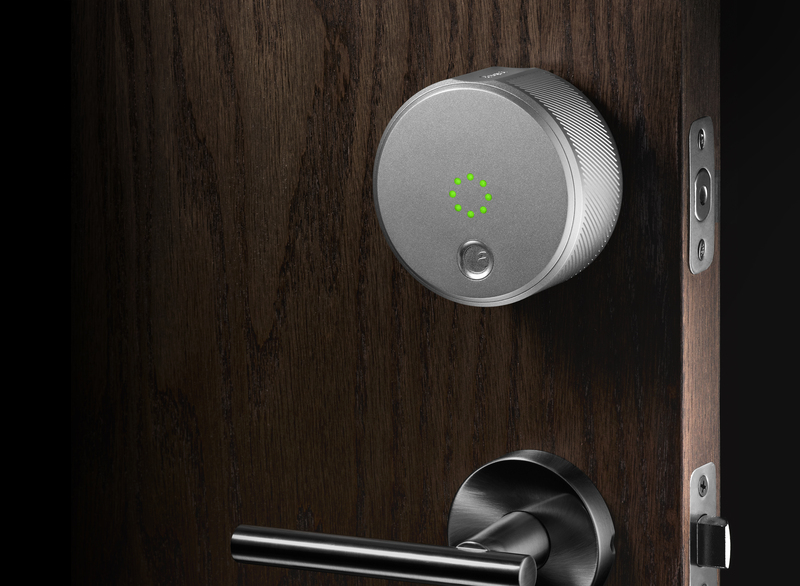 With “connectedness” a lock can be a concierge. As these connected devices become smarter, they start to obey commands — open sesame isn’t such an impossible idea after all — and they can become helpers, like Google Now or even a personal robot. “As computing becomes even more immersed in our lives, embedded in our homes, and worn on our bodies, these user interfaces will become even more invisible, operating through gestures, voices, and even expressions,” Katie and I wrote earlier this year, when we announced our experience design conference Roadmap. 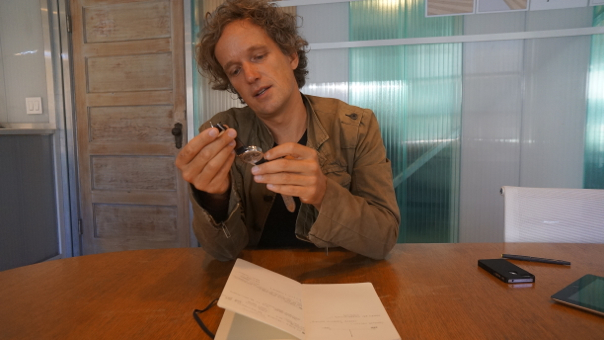 Yves Behar chatting about watch design in 2013. Image by Om Malik, Gigaom. These are questions I intend to ask Yves Behar, designer of the August Lock, at Roadmap, which will take place in a few weeks on November 18th and 19th at the SF Jazz Center in the Hayes Valley neighborhood of San Francisco. Yves is one of the many thoughtful speakers we’ll have at Roadmap who appreciate the marriage of network, software and sometimes hardware, into a design that is experienced even when it is invisible. In addition to Yves, we are going to have Tony Fadell (Nest), Jeff Veen (Adobe), Matias Duarte (Google), John Maeda (Kleiner Perkins), Evan Williams (Medium) and designer Elle Luna, as well as many others, give their takes on the joys of invisible design. We’re also hosting an afterparty at the end of day one, where we can talk about this new meaning of design in a more casual setting accompanied by a drink or two, and we’ll have a kick-off event on the night of November 17th featuring some really great conversations about connected design. As I chat with these folks onstage and off, I will have MacFarlane whispering in my ear — design is about how you make people feel.